Location! Location! Location! Beautiful and private end unit townhome nestled in a cul de sac in the popular Southampton community. 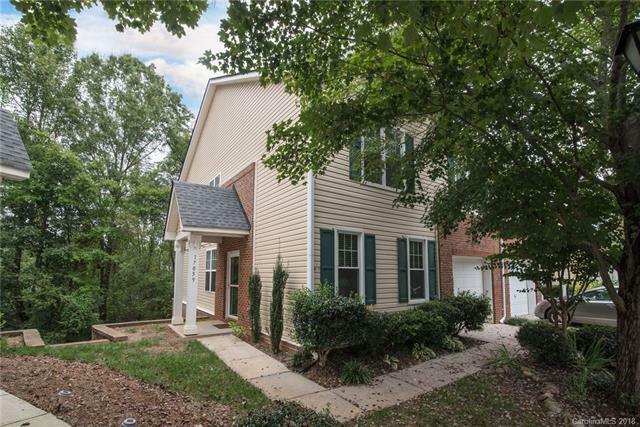 Upgrades include new carpeting throughout, new paint, stainless steel appliances, updated light fixtures, ceiling fans in each bedroom, kitchen island, ample cabinet space, 2 story foyer and hardwoods throughout the first floor and kitchen. This floorplan is the largest in the community and has a spacious deck over looking the woods. Refrigerator and washer/ dryer remains with the property. Walking distance to shopping, dining and more.